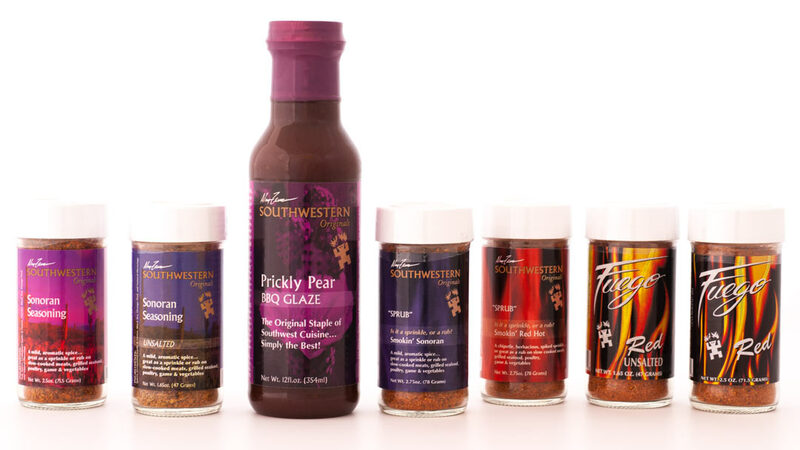 Bring the Authentic Flavors of the Southwest to Your Kitchen! Our Best Seller! 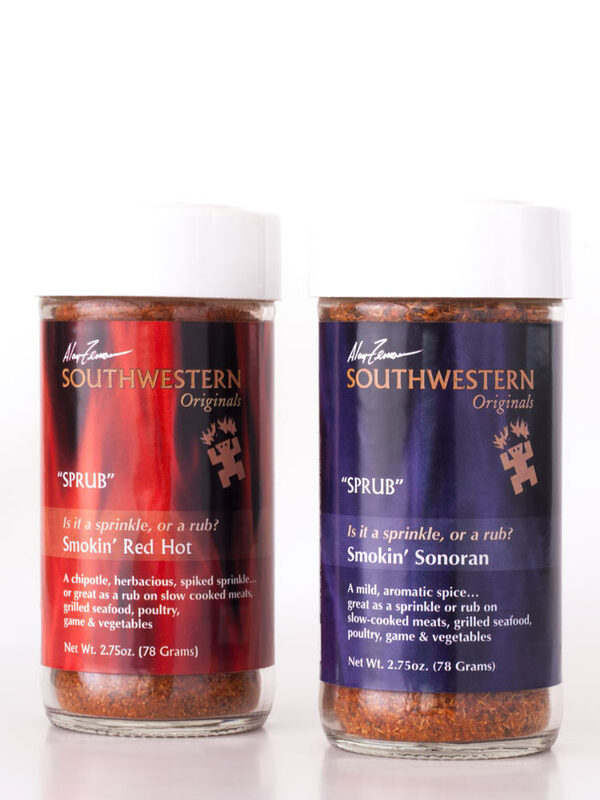 Capture the essence of Southwestern cuisine with our most versatile spice blend. 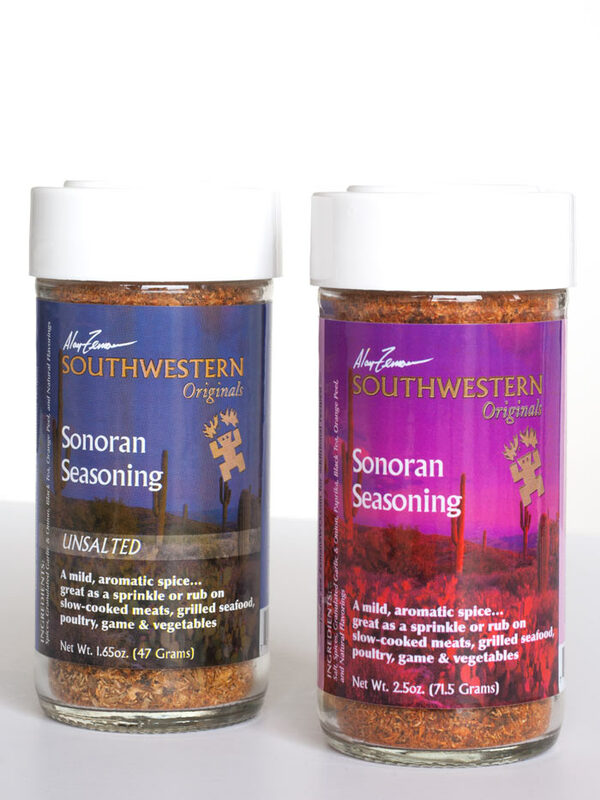 Sprinkle Sonoran Seasoning on anything from popcorn to prime rib to add some authentic Southwestern flavor! Is it a Sprinkle? Or is it a Rub? A chipotle, herbaceous spiced sprinkle… great as a rub on slow-cooked meats, grilled seafood, poultry, game, and fresh vegetables. 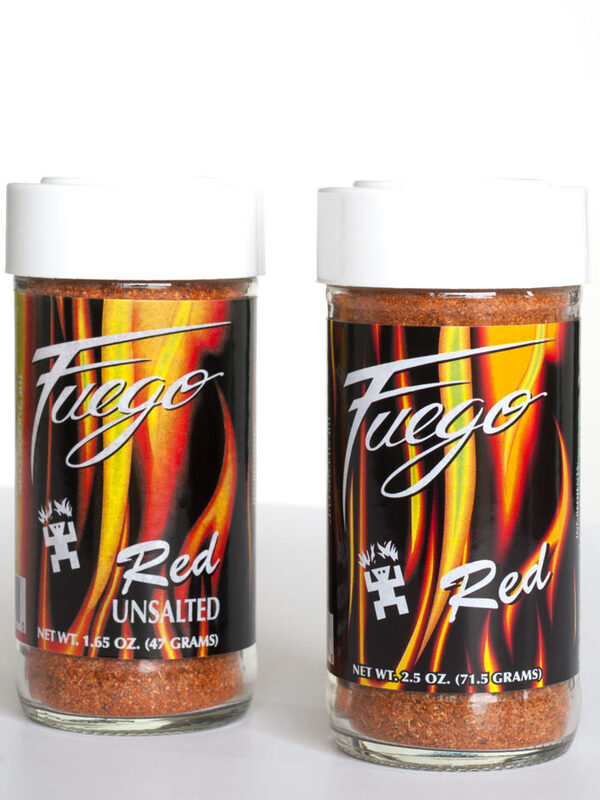 A sizzling fusion of aromas, herbs, and spices… A tremendously flavorful way to add some heat to your favorite dishes. Especially aromatic and flavorful on grilled meats, fresh seafood, and game! 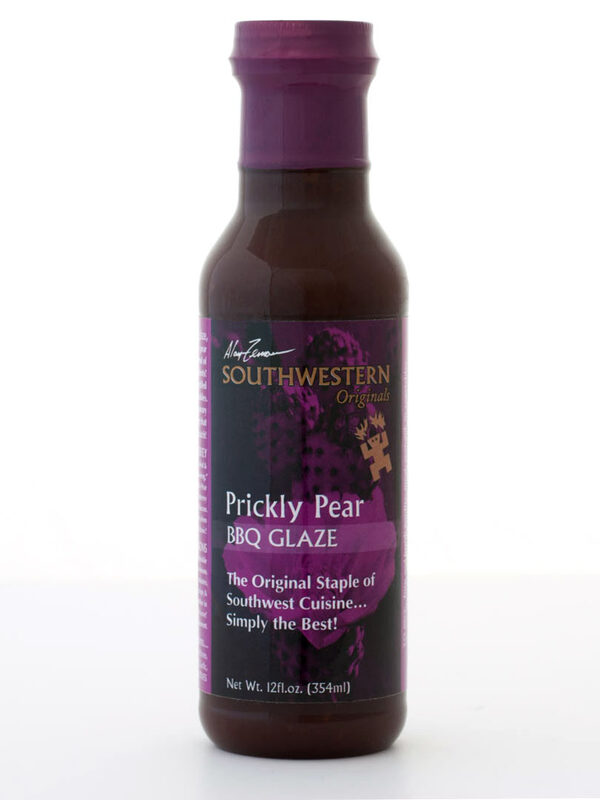 A Smoky Magenta BBQ Glaze, Infused with Prickly Pear Sweetness! A base of cactus fruit, blended with other tantalizing ingredients! Stay informed about the latest from Southwestern Originals with our very occasional emails.